What Is the Basic Meeting Format? What Do I Have to Do at Meetings? What Types of Child Abuse Do You Discuss? 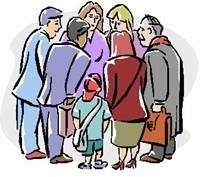 What Is the Demographic Background of Meeting Participants? What Are the 21 steps of ASCA? Do You Have Any Resource Materials? Our ASCA meeting in Chicago is a support group for adult survivors of child abuse. We generally meet weekly (more on this below), to give one another emotional support and an opportunity for expression of feelings, thoughts, memories, hopes, insights, and education on the subject of child abuse. Our meetings follow the Adult Survivors of Child Abuse (ASCA) program as designed by the Morris Center in San Francisco. The format is similar to that of 12-step programs with some significant differences. Similarities include directed readings, short and long shares, absence of cross-talk, and mutual support. Differences include the replacement of the 12 steps with a list of 21 steps that are more relevant to survivors of child abuse. For more information on our meeting format, visit ASCA's website at www.ascasupport.org. This mechanism attempts to ensure that no one ends up being the only one to show up for a meeting. Once the meeting attendance has grown to a routine size, this mechanism will be dispensed with and the meeting will just be held on an on-going basis every week. Some folks prefer to use an email address that doesn't contain their full name, or is a pseudonym. This can help maintain their anonymity, at least in emails. PLEASE DO NOT GO TO THE MEETING PLACE UNLESS YOU'VE GOTTEN AN EMAIL THAT THE MEETING IS ON FOR THAT WEEK - THERE WILL NOT BE ANYONE THERE!!! The Anderson Pavilion is a free standing building on the south east corner of the intersection of California (2800 W) and Winona (5132 N). Winona is the first street south of Foster. Turn onto Winona - one way East bound. There is Pay Box parking on Foster. And there is the hospital's parking lot - $4. When you go into the Anderson Pavilion through the front revolving door there will be a information desk immediately in front of you. Walk directly forward and just to the left side of the desk - you will be going down a hallway which is about 100 feet long. Walk to the end, turn right, and our door is immediately on your right-hand side - Conference Room #A105. Please remember to come on time, as the meeting's guidelines do not allow anyone in after the shares begin (this to prevent attendees' shares from being interrupted). Thank you for your consideration. get off at the California stop. You do not have to do anything. You do not have to introduce yourself and do not have to speak. You can just sit and listen if you like. This is a no pressure situation. We try to keep the atmosphere easy going and friendly. We average nine to twelve people per meeting, but has been as large as sixteen attendees. This meeting started in July 2010 and is still ongoing. We discuss the whole gamut of forms of child abuse, including: sexual, physical, emotional abuse, and neglect. We have people of many races, religions, ethnic backgrounds, and life style choices. We have both men and women, most meetings with a 50-50 split by gender. Our participants cover the adult age range. We welcome any person who is recovering from child abuse except for those who are currently perpetrating abuse on others (See note 6 below.). Our Meetings are classified as Open drop-in. This means that a newcomer to the ASCA meeting is always welcomed into the group. Participants come when they want. There is no set commitment to attending ASCA meetings and no requirement to participate. If you like, you can just get comfortable in your chair and watch. Please arrive on time and remain until the conclusion of the meeting. Latecomers will be asked to wait outside so that speakers who are sharing are not interrupted. There are two opportunities for entry - 1) just prior to the main presenter about 10 minutes into the meeting, and 2) just prior to the share period approximately 35 minutes into the meeting. No one will be allowed in after this last time. ASCA meetings are exclusively for survivors of physical, sexual, or emotional childhood abuse. What you hear today is told in confidence and should not be repeated outside this meeting. We ask that no one attend our meeting under the influence of alcohol or drugs, unless the medication is prescribed by a physician. ASCA meetings are not intended for survivors who are currently perpetrating abuse on others. Talking about past or present perpetrator type behavior is not permissible. Language that is considered derogatory concerning race, gender, ethnicity, religion, sexual orientation or other minority status is unacceptable in our meeting. By participating in this meeting we all agree to abide by the spirit of ASCA, our guidelines and any interventions by the Co-Secretaries. There is currently no cost to attend our meeting. Will This Group Help Me? Each individual will have their own, unique experience. Many survivors report that the group has been a wonderful help in their recovery, providing camaraderie, the feeling that a person isn’t the only one, a forum for expression, and a resource for ideas. Recovery takes time and, usually, a variety of approaches including individual therapy. We can’t promise that the group is for you, but if you feel that it might be, we hope that you’ll give it a try. We just want to add that support groups are a potent and affordable device for healing. And healing should not be postponed for a sunny or rainy day. We look forward to seeing you at a meeting soon.